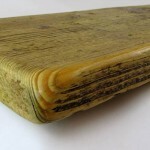 Welcome to the blog for Chunky Reclaimed Furniture, choose from the posts on the left to view useful tips, see what we have been up to and view any new products that have been added. Individual shelving made from reclaimed scaffold boards for you to fit yourself. The shelves are sold per metre. 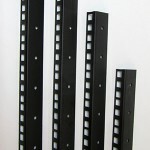 Need extra rack strip on the rear of your unit for power bars etc? Price is dependant on amount number of units needed. Contact us, or mention this when you place your order.